Diabetic Shoes Can Save Your Feet! Are you experiencing your shoes rubbing on the sides of your feet? Are those shoes you have on just too tight? Shoes are key to a healthy foot. It’s all about the shoes you wear! If your shoes don’t fit properly, you will be setting yourself up for blisters and sores. As a diabetic, your health circumstances make it vital to have a shoe just for you! 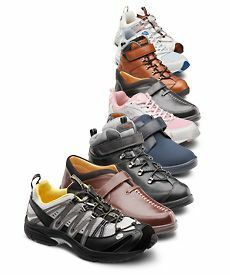 Diabetic shoes are created to reduce the amount of discomfort as much as possible. This is not just a typical shoe found at a store in the local mall. We understand as diabetics it’s harder to size your foot due to the loss of sensation; however this is why we have a team trained to help you! This helps your foot to breathe and allow your blood to circulate. With extra depth in the shoe, it leaves room to add in insoles which are molded to your foot. Insoles can help reduce those pressure points. If you have a shoe that is too small this is when issues such as blisters or calluses come into play.